First post, have a 1997 20 scout with a similarly aged Yamaha 200. Last time i was flushing i noticed that the heads felt a but hotter than i thought they should be and that the starboard head was warmer than the port. I had read about people flushing with rydlyme and figured I'd try it before i began to ruin into issues. Didn't get a chance to run it because i discovered my lower unit needs seals. 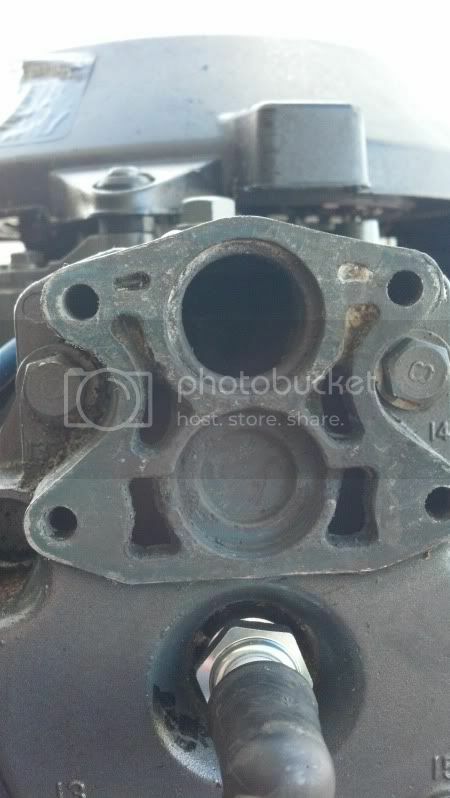 The pictures show two things, the port side seems to have more deposits than starboard which corresponds with the temp difference and also rydlyme really removes alot of the crud. Looks 100% better and has to enhance cooling. I briefed over their web-site, but couldn't find anything specific to aluminum or outboard motors. Is there more information? That will be the real test and as soon as i get my lower unit back i will try it out. On the left hand side you will see a link to outboard flushing. This will open up a pdf. You do know that it's just hydrochloric (muriatic) acid right? That is what an aqueous solution of hydrogen chloride is if you don't want to say it's diluted acid. It does exactly what you found..among other things. Use at your own risk. RYDLYME Marine™ has been used by the Royal Australian Navy, and even the US Environmental Protection Agency. It is a safe, biodegradable, non-acid electrolytic descaling solution which will not corrode or damage metal engine components, gaskets, seals or o-rings. A clear, colorless, fuming, poisonous, highly acidic aqueous solution of hydrogen chloride, normally present in a dilute form in gastric juice, and used in a variety of laboratory processes. I use it to do exactly what you are for specific parts but I do not run it through my motor. Take a thermostat or a piece of aluminum and drop it in and see what happens. As soon as I saw that blackened aluminum I knew what the chemical was. 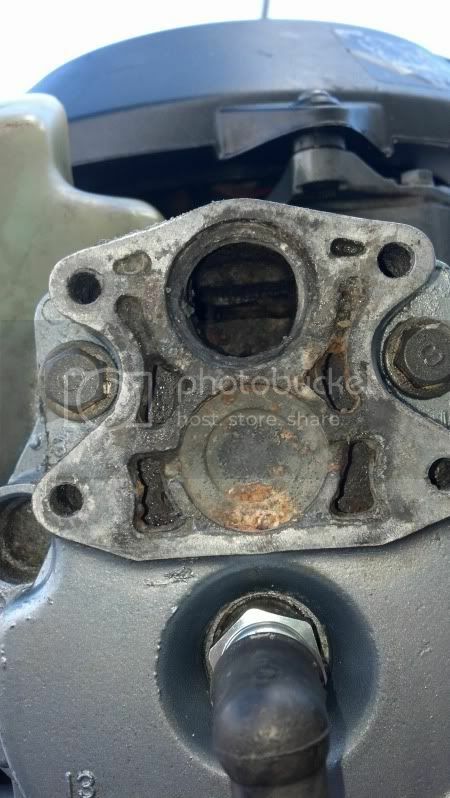 It will severely damage place around head gaskets, everywhere stainless and aluminum touch and more. I even use it to get out stuck stainless bolts as it will quickly eat the corrosion around the bolt and slow down to a crawl on the good aluminum. Tater so his method of desalting is a good way of doing it BUt just his choice of chemicals is in question? Your opinion on vinegar. They have some information regarding your concerns. Or other materials found in heat exchangers, vacuum pumps, evaporators, condensers, and/or other water cooled, water heated, or water operated equipment when used as directed. 6. The exception to number 5 above, when using 100% concentrated (non-diluted) RYDLYME on magnesium, zinc, and/or aluminum, it could oxidize or pit. Furthermore, polished chrome and some alloys of stainless steel could become discolored. It is not recommended for use with concentrated solutions. 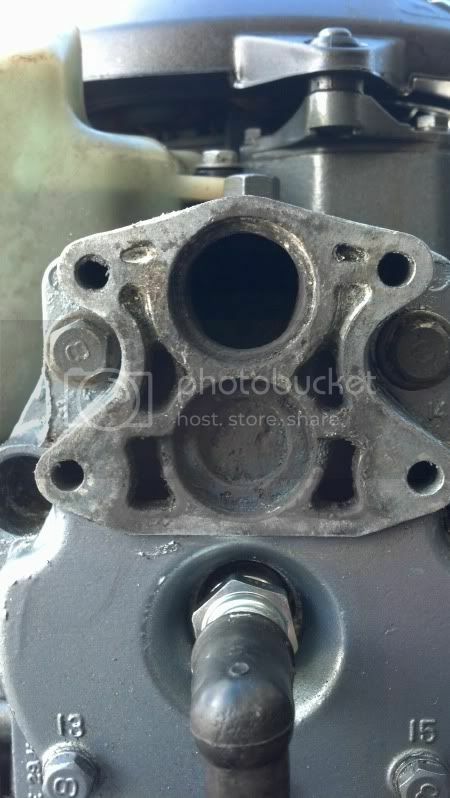 The rule of thumb is that if the alloy is designed for use in a water system (aluminum engine block, aluminum mold, etc. ), the alloy should be compatible with the RYDLYME solution. Otherwise, it is recommended that the RYDLYME be diluted50% or more with water when cleaning. Again, I'm far from the first person to use this on my outboard. Without knowing the formula I'm not sure we can make such claims on top of diluting it during use. I sold the rest to some friends but if i get my hands on some i can run some tests you speak of. There are many types of aluminum and without using the type in our motors I'm not sure how good of a test that is. Also the thermostat isn't in the motor when the rydlyme is so unless it is the materials that thermostats are made up of is what you are interested in I'm not sure what good that is. I would suggest anyone interested in it to call the manufacture to ensure it its safe for their application but some of your claims seem a little extreme considering one of the main uses is to flush marine motors., if someone had severe damage i guarantee that you would find complaints. do what you want I don't care. Plenty of corrosion removers are acid.. this one is particularly harsh. Starbrite hull cleaner /stain remover is HCL too. You want to see what it does to aluminum here. It is my go to for cleaning aluminum, stainless etc but I'm not running it through my motor. They say that rydlyme can oxidize aluminum and that's absolutely false. It dissolves aluminum, see the video. It reacts faster as it etches the surface giving it more surface area. If you dilute it it just does this same thing slower. If you dilute it with tap water just like pouring acid in the pool it reacts with the minerals and is no longer HCL. I used to do this to make hydrogen gas to make rockets from 2 liter bottles. All I'm saying is it cleans and it's harmful to aluminum. It's less harmful than overheating. MaryKate On and Off is the same.. Aluminum pontoon cleaners frequently are... just be careful and consider NOT using it for normal flushing. You may not see any complaints. 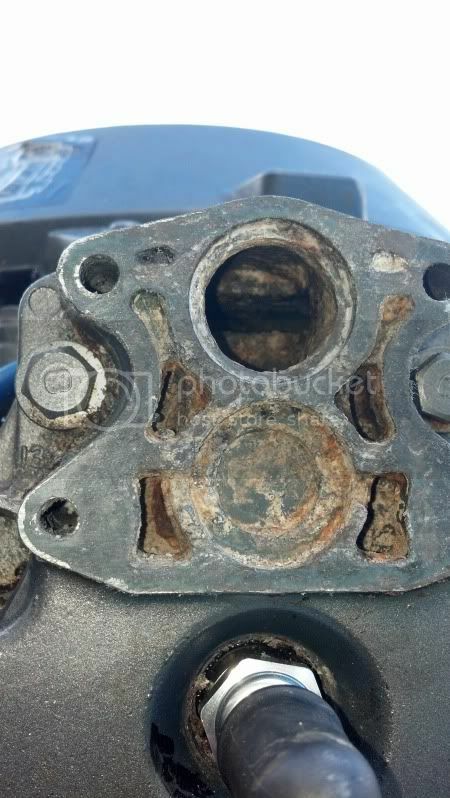 Many people won't equate a motor flush to corroded away cylinder walls. I've seen it. The head gasket wouldn't even seal anymore.